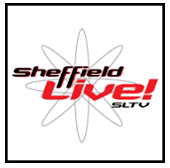 More viewers will be able to tune into Sheffield's new local TV station following a successful request by local TV multiplex operator Comux to get an additional transmitter for the service, but the local TV service must soon or lose its licence. The move will allow viewers in north and central Sheffield, who have their aerials pointed at the main Emley Moor transmitter, to receive the local TV channel, plus additional Freeview channels. Sheffield Local Television (SLTV) is already scheduled to launch from the city's local transmitter site at Tapton Hill (also known as Crosspool) and reach around 110,000 households. The additional transmitter, which will be located at Grenoside - part way between Sheffield and Emley Moor - will boost coverage, so that SLTV can expect to be available in 155,000 households. It will transmit on UHF frequency channel 57. The extra transmitter will also boost coverage of other channels which will become available on Freeview alongside the local TV service, namely QVC Extra, Chart Show TV and children's channel POP. Ofcom's Broadcast Licensing Committee (BLC) noted "that Ofcom is currently consulting on future use of the 700 MHz band in which channel 57 is located and that any future decision to change the use of the 700 MHz spectrum would be likely to affect the coverage achieved, and that it may not be possible to guarantee the extended coverage beyond 1 January 2018." "Ofcom will vary the local multiplex licence to include the revised technical parameters for the Sheffield coverage area and publish a variation notice to this effect. Ofcom anticipates that the Sheffield Local Television service will launch and provide at least the coverage to which the applicant originally committed within two years from the original award date, i.e. by 25 September 2014." 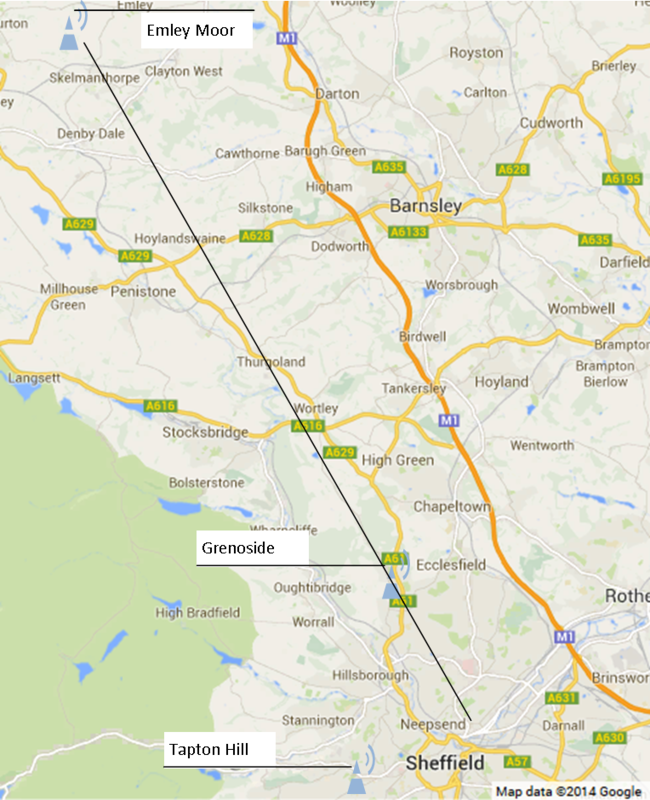 A previous request, made in 2013, to secure an extra frequency for Sheffield Local TV was turned down by Ofcom. The following map shows how viewers who have their aerials pointing at the Arqiva Tower at Emley Moor - the main TV transmitter for most of Yorkshire, rather than the local relay in Sheffield - will not need to adjust their aerials. Has been assigned Freeview channel 8 in Sheffield. The signal will be carried via the local TV multiplex, operated by Comux, to viewer’s homes in the area. The Digital UK postcode checker, which provides information about Freeview and local TV coverage has not yet been updated with details/parameters of the new transmitter. I seriously doubt that this will add enough potential viewers to make the service viable. The coverage area is just too small and needs to be expanded to take in the natural editorial area of South Yorkshire and possibly the North Midlands.